D. A. Mishani (born in 1975) is an Israeli crime writer, editor and literary scholar, specializing in the history of detective fiction. His first detective novel, "The missing file", was published in Hebrew in 2011. 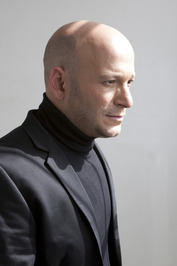 Translation rights for the novel, the first in a crime series featuring police inspector Avraham Avraham, were sold to more than 10 territories. The American edition of "The missing file" will be published by HarperCollins on April 2013. D. A. Mishani lives with his wife and two children in Tel Aviv, and writes the second novel in the series, "Possibility of violence". We’d love your help. Let us know what’s wrong with this preview of A Possibility of Violence by D.A. Mishani. D.A. Mishani added a status update: HarperCollins are giving 25 free copies of "the Missing File" to US based readers on Goodreads. Enter your request on this page and you might recieve a copy of the book before me!